Although most of the animals domesticated by humans showed up many millennia earlier, the cat, as we know it today, made its appearance on earth only 5000 years ago. And the cat is like no other creature on our planet. It can do things no other animal, including humans, can do. It has intelligence and mental abilities that are unparalleled among God’s creatures, and some of those mental abilities defy explanation. The cat is, in a word, unique. So what is the cat? Where did it come from? Why is it here? And that is what this book is all about. Maybe God is the only one who knows the answers to the mystery of the cat. Author Tom Williams explores what might have been God’s reasons for creating the cat and what he might have been thinking about during the 5000 years the cat has been among us. You don’t hae to believe in a personal God to understand the message of this book. In fact, you don’t even have to believe in God. An atheist may argue that there is no God. But he certainly can’t argue that there is no cat. 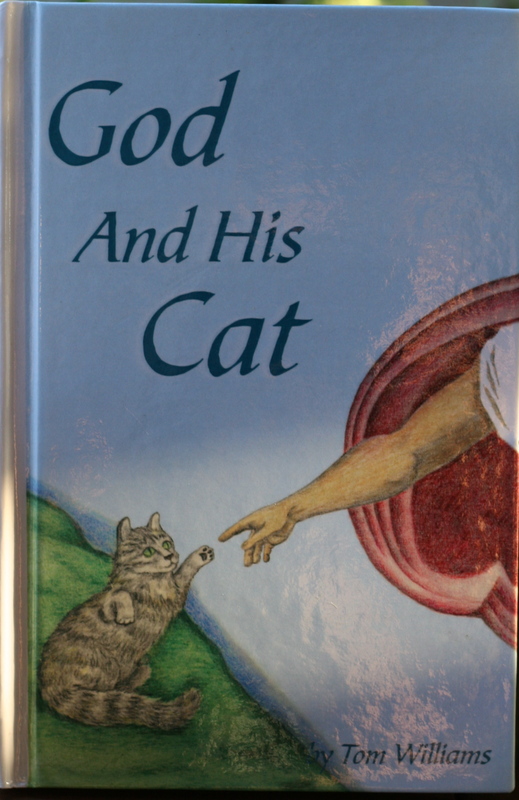 God and His Cat – regular price, $9.50, marked down to $7.50 during our Summer Book Sale! Las Vegas coyote sig… on BEWARE OF COYOTES! SiameseCatTwins4Ever on BEWARE OF COYOTES!